The Staffordshire bulls are well-known for their remarkable abundant strength. They are sturdy and muscular dogs and are also known for their agility. The most remarkable thing about this breed is that it is one of the two breeds that have been recognized by the UK Kennel Club as very suitable for kids. Weight: between 24 and 38 pounds. Personality: aggressive towards other animals but very friendly with children. Health problems: sunburn, cataracts, and respiratory problems. • Brush their coat only regularly using a brush with firm bristles. • Scrub your dog fur with a chamois or towel to remove hairs that are loose. • Their physique needs a regular exercise routine which includes a daily walk, play time while on a leash. Staffordshire Bull terriers, also known as Staffies are known to have originated around the 17th century. Because dog fighting gained increasing popularity over bull baiting, it was necessary to develop a breed of dogs that are agile and powerful. And has more punishing head than the Bulldog. In this sense, fighting Bulldog was cross with a blood terrier. The crossbreed was known as the Bull and Terrier or the Pit Dog. The new crossbreed became famous for their courage and tenacity and not minding their reputation for being aggressive with other animals, they were an excellent companion, especially with kids. They were the miners and steelworker’s favorite’s dog. Staffie, also provided chain makers of the "black country" with additional income when working against badgers or ratters. The implementation of the Humane Act in 1835 finally prohibited sports such as dog fighting and bull baiting. However, a group of men in Staffordshire chose to keep the dog breed by introducing them to the work of the show. 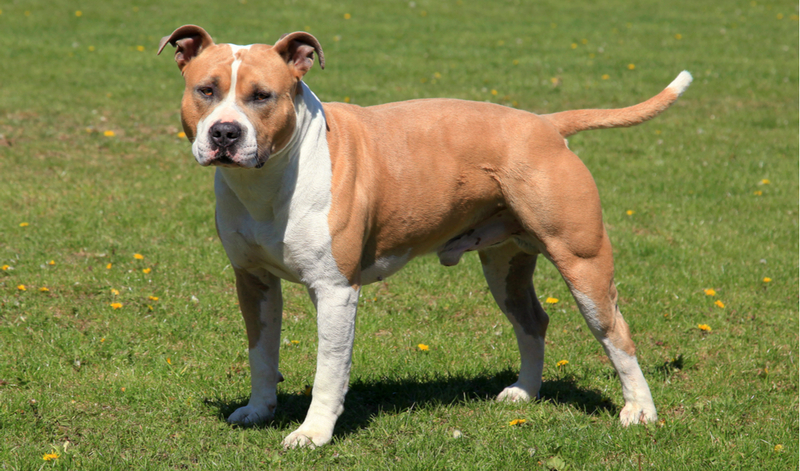 Over the years, breeders have changed the name of the dog to Staffordshire bull terrier to distinguish its physique from English bull terrier. But, the dog name was officially registered in 1935 by the American Kennel Club. Around 1938, a few Staffies dogs became famous as champions at the Birmingham National. The acceptance of were Ch. Gentleman Jim and Ch. Lady Eve stretched to many recognized countries including Australia, France, Germany, Holland, Spain, and even the USA. Since then, Staffordshire bull terrier has been successful as show dogs and was very common in comparison to other dogs. The Stafford bull terrier has become a popular dog, while maintaining its reputation gained from generations of fighting dogs bred for persistence, courage, agility and, most importantly, its reliability and great empathy with people, especially with children. Today, you can say that the bull is not so bully after all! The bull is quite reliable as kid’s pets.